Here's the 2018 updated list of coupons that are available for Hogle Zoo. 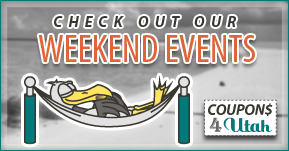 We'll keep this post updated as offers become available so, you may want to bookmark it. These are the current offers we're finding. 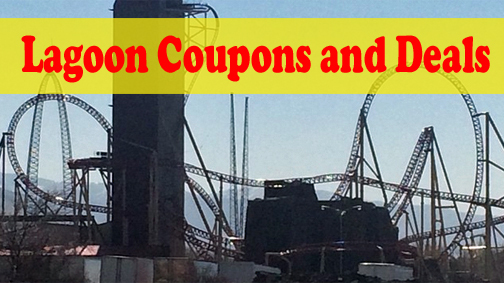 If you haven't yet, make sure to join our Coupons4Utah Facebook group. 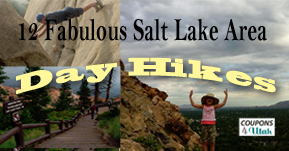 We share all kinds of Utah happenings as well as updates to these posts. Ride the ‘not-so-spooky’ train – at night! Ooooo! See the graveyard, the land of spiders, the pirates’ lair, and more! And back by popular demand, visit Hogle Zoo’s own ‘Spiderella’ and her creepy crawly cast of ‘fiends’ er. 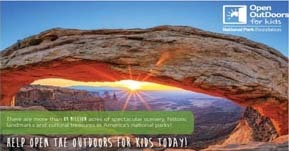 While supplies last, Utah Les Schwab Tire Centers are giving away buy-one-adult, get-one-child-free coupons. No purchase necessary. Limited quantities available. Meet the new two year old polar bears, Nora and Hope. 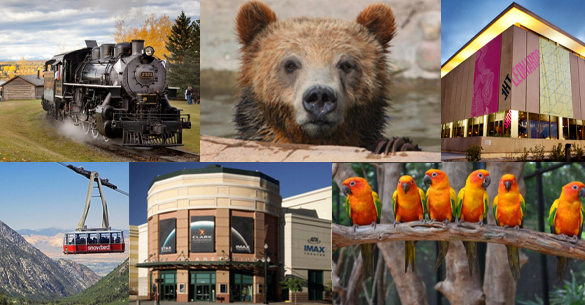 Foothill Cultural District also has coupons available for places such as Utah Hogle Zoo, Red Butte Garden, This Is the Place Heritage Park, Utah Museum of Fine Arts and more. 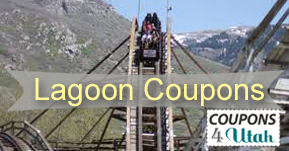 Currently there is a $1 off admission coupon for Hogle Zoo. This Is The Place Heritage Park - Show your ticket stub from the This is the Place park and you will receive $2 off any admission. Offer is limited, call ahead first. *Winter Only* ZAP sponsored Day's: ZAP (zoo, arts, parks) will sponsor free Zoo Days throughout the winter typically the last Wednesday of the months November through February. Note that these are subject to change and do not include ZooLights. Please call ahead first. And last, Take your own food. The Zoo does allow outside food and beverages in the Park with exceptions to glass containers and alcohol. 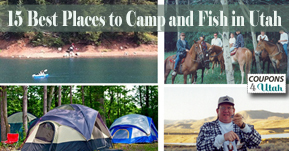 They have plenty places to stop for an afternoon lunch or snack. Taking your own snacks is one of the easiest ways to save when visiting. 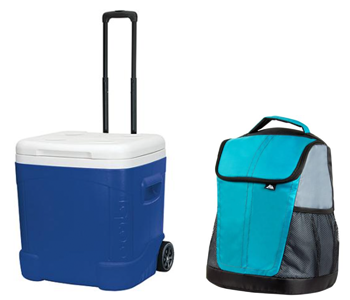 As I write this, this HIGHLY reviewed Igloo 60 Quart Roller Cooler is reduced in price to $24.44 via Walmart.com. And, it's available for same day free in-store pickup at most stores. Or, take a look at this Ozark Trail 12-Can Insulated Backpack Cooler (Black only) that's only $8.97 (also available for pick-up). Zoo Membership is not working, I've tried it today, 6/20/17. the code is working 5/21/17. Can I use this code in person at the zoo, or is it good online only? Also, tip for you. If you purchase a membership and select it as a gift membership, then your start date will be the first time you visit the zoo instead of the day you bought it. You can "gift it" to yourself. How old is a "child" for these offers? How much is regular admission? Thanks for letting me know Cassandra. They didn't say when it would expire. I'll get that updated. Do you have to service your car at Les Schwab to get the coupon? No, but you are going to want to call them before making a special trip. They usually don't get them until later in the summer and sometimes they run out. I couldn't get HZFB15 to work when trying to purchase a membership? Has it expired? Hi! 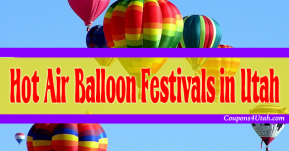 ,I am also looking for a Hogle Zoo membership discount! Thanks! Is the free entry the 28th January real and valid. Couldn't get anyone from the zoo to answer the phone today and didn't see it on there website. Want to confirm before driving from Wyoming that day to go. I'm trying to use the COKE discount and it is not working. Do you know how to use it? The COKE coupon didn't work for me either, and when I called to ask Hogle Zoo, they said that the code wasn't a real code. Is there something I am missing? I actually found the Coke code on a promotional flyer at Holiday Oil that was distrubuted out by Coke. They had a stack of them at the front counter to pass out. Sorry, I'm not sure why it wasn't working. It's only valid Mon-Thurs. Make sure you were putting in a weekday? It's a better deal to get the coupons at Les Schwab that get you a free child admission with a paid adult. 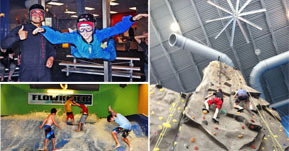 Saves you $10.95 vs. $8 per pair if you have equal number of adults and kids. Thanks Charlie, When we went to Les Schwab to try that one, they were out but did say they expected to get more. I couldn't confirm it though, that's why I didn't put it on the list. You'll want to call ahead before making a special trip. Hi Dianne, I'm not sure what you are referring to. To my knowledge Deseret Book doesn't have discount for Zoo. Did you find them there? 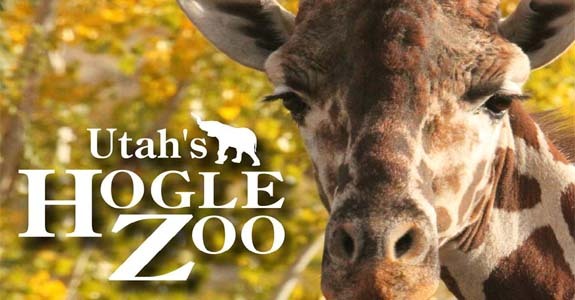 Do you know of any codes for Hogle Zoo memberships or discounts right now? Last year around this time you had a code that made the family membership around $75. Wondering if you know if they're running that promotion again? Hi Marcella, Code 3201 will save 15% on a membership. It won't work on renewals though. I'm not sure when it ends. Thank you, thank you!! Think this makes it cheaper than last year even! You're welcome and thanks to you for your comment. The code came my way a week or so ago and got buried in my email. Your comment reminded me to update the post. Is there a current way to get a discounted membership to Hogle Zoo other than waiting for an offer in the mail? Just looking for a discounted membership price. To my knowledge there isn't a current code.